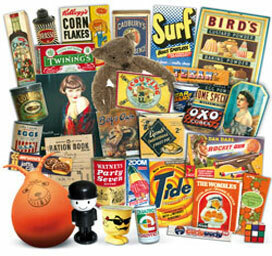 From toys and cigarette packets, to fashion and chocolate wrappers, the Museum of Brands, Packaging and Advertising is pretty much a repository of branded ‘things’ from the past century. Consumer historian, Robert Opie, began his collection at the tender age of 16 with a packet of Munchies and has been documenting consumerism ever since, accumulating a staggering array of branded packets, trinkets and objects. The collection had been held in Gloucester from 1984 until 2001, then Opie upped sticks and moved to London. It’s the simplicity of the museum that’s really striking. You hit the cashier’s counter as soon as you enter the building and, upon paying a very reasonable £5.80 (£2.00 if you’re a child), you’re immediately met by a dazzling concoction of colours and fonts housed in glass cases. Everything is laid out in chronological order too, so you start in the early 20th century and you are guided through the ages to the modern day, with signs providing social commentary from each decade on how events of the time influenced the branding of consumer products. 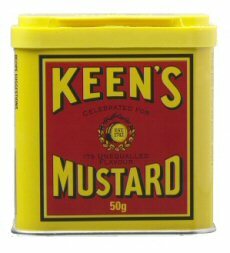 I even thought I’d gotten to the bottom of a phrase that has always baffled me: ‘keen as mustard’. Close to the beginning of the exhibition an old tin of ‘Keen’s Mustard’ stared back at me…“a-ha”, I thought. But after carrying out a little research, I discovered the Keen’s brand was launched in 1742, whilst the first documented use of “keen as mustard” was a century before then. Oh well. It was fascinating to see how language has evolved too. A varnish advert was resplendent with giant lettering that proclaimed ‘Go gay this winter’ – a sign, perhaps, of more innocent times. They even have a dusty old bottle of tomato ‘catsup’ on display. And this led me to do a little more digging on the history of ketchup/catsup. It transpires that the tasty condiment was developed as a result of the Spanish-American war, where US Army scientists sought to invent a scurvy preventative that doubled as grease for gun carriage axles. It seems they did such a good job of creating this dual-purpose puree, that the axles of the artillery moved too fast for the infantry, leading the caisson drivers to shout ‘catch up’ – which became ‘ketchup’. And a soldier also reported that ‘the local cats sup on our caisson grease’. 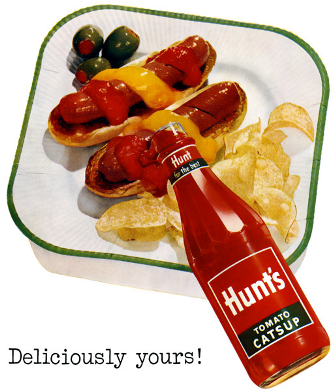 Hence catsup and ketchup were both used for a while, before ketchup eventually become the standard phrase. But I digress. The Museum of Brands, Packaging and Advertising is a great way to while away an hour and a half, and I bet you’ll find yourself uttering the words “I remember those” on more than a few occasions.